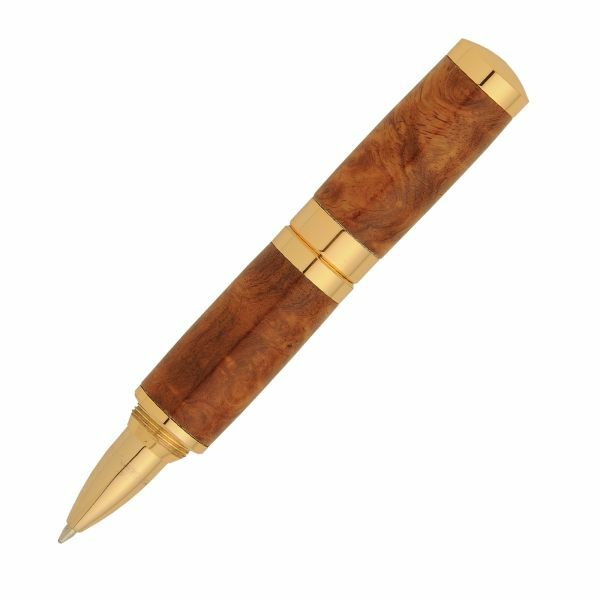 Lipstick 24kt Gold Twist Pen [PKLSPEN] - $35.42 : AnkleBiter Woodworks, When all else fails, send in the dacschund! This Lipstick Pen makes an ideal gift for any woman on the go. Conveniently tucks away in her purse so she has it on hand at all times. The finished pen is only 3-3/8" closed and 4-3/8" long when in use. Cap secures with attractive threaded couplings. Uses mini refills #PKMINI-R5. Plus, she'll love the 24kt gold plating which offers a bright pure gold plating that will give her pen a rich and luxurious look. Our 24kt gold uses a "premium rack plating" process and is covered with an epoxy coating for extreme durability. We guarantee it's beauty and durability with a lifetime guarantee.